Smugglers Cove is a great resort community to stay in for a low-key, totally relaxing vacation. It’s fully staffed, right on the beach, and the villa has three spacious bedrooms. Paynes Bay is a lovely beach on the Platinum Coast, and Smugglers Cove tricks it out with sun beds, umbrellas, and beach service. 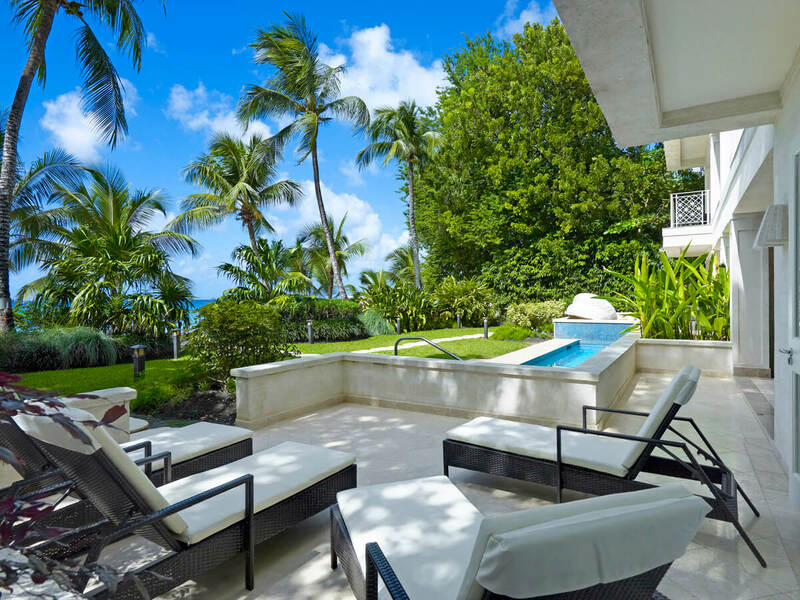 Steps away from Paynes Bay Beach! Smugglers Cove #2 is a luxurious villa located within a low-density beachfront community. This community includes 24-hour security, concierge, a housekeeper who cooks, communal butlers, and management. The Smugglers Cove community features tropical gardens, access to Paynes Bay Beach, and an inviting swimming pool. Smugglers Cove #2 has a large covered dining area and easy access to a sunny, uncovered patio. The living room enjoys a flatscreen TV and large sectional, while the kitchen is equipped with granite countertops, stainless steel appliances, and a large double sub-zero fridge. All three bedrooms have their own ensuite bathrooms and dressing areas, as well as ceiling fans and air-conditioning. There are two king suites and one suite with a double bed. Private sun beds, umbrellas, and attentive beach service are available on Paynes Bay Beach. Restaurants and bars are up and down the coast nearby. Transfers are not included in the rental. The housekeeper's hours are between 8AM-4PM, and will prepare breakfast and lunch for guests. There is also 2 communal butlers and a security guard.